Bariatric Care is a team approach to the weight management of our residents with obesity (individuals weighing over 350 lbs). Rehabilitation includes meeting the equipment and space needs of each obese resident. 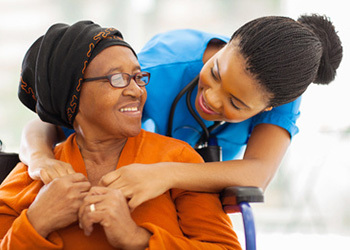 At Emerald Care, we have special equipment that accommodates their requirements. This can include wheelchairs, geri chairs, beds, mattresses, commodes, special lifts, walkers, blood pressure cuffs, room chairs, and more.